Theranos said it would change the way blood testing worked—it raised over a billion dollars on that promise. 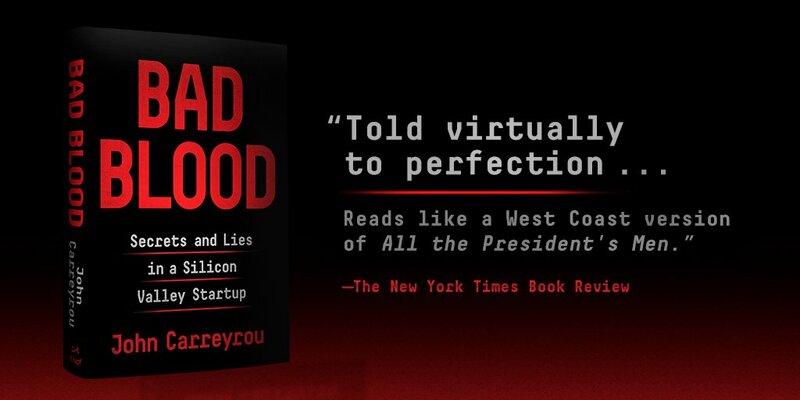 But in his new book, John Carreyrou uncovers that Theranos’s greatest innovation was a technology as old as time: lying. Sound interesting? Yes! Join us to talk about one of the hottest non-fiction works around. We have three confirmed gathering locations in San Francisco, North Oakland, and San Mateo. To attend a November 11 meeting, visit https://yw-booknight-badblood.eventbrite.com to RSVP. Registration will close on Friday, November 9 at 8 PM.